By setting a good example when it comes to oral health, you can help your child develop great oral hygiene habits that will last a lifetime. 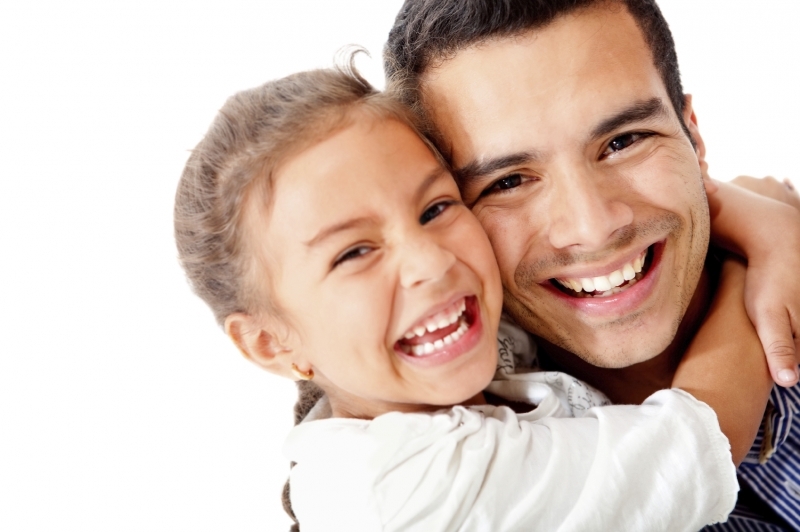 You may think that caring for their child’s dental health simply means making sure they brush and floss regularly, and that they keep regular dental appointments for check ups and cleanings. However, although these activities are integral to your child’s oral health, there are other, less obvious ways that you can influence their oral health in a positive way. If you get scared, anxious or uncomfortable about visiting the dentist, your child may well be able to sense it, and could develop his or her own anxieties as a result. Your child may think, if big, brave dad gets nervous about visiting the dentist, then maybe I should be scared, too! Working on overcoming your discomfort with dental care isn’t easy, but it’s certainly worth trying, for your own sake as much as for that of your kids. Talk to your dentist about ways that you can start to feel more comfortable with dental care. Most dental professionals want their patients to feel comfortable and safe, and so your dentist will likely be happy to give you some guidance and suggestions on this issue. In the meantime, do your best to hide any fear or discomfort you’re feeling from your kids. Put on a calm demeanor when talking about dentistry in their presence, and avoid making any negative comments, or discussing any negative experiences you may have had in the past. Don’t just make sure that your kids are brushing and flossing regularly; make sure that you are, too. Setting a good example when they’re young and more easily influenced is ideal, but even older children and teenagers will be more likely to listen to your sage advice about the importance of good oral hygiene habits if it doesn’t seem hypocritical. Making lots of healthy snacks available for your kids is wonderful, but let them know that you value your own health as well. Again, children will notice whether you practice what you preach, or not. If you’re constantly encouraging your children to eat wholesome, nutritionally dense foods, but mainly subsist on sweets and junk food yourself, they’ll certainly notice. And not only will they stop taking your words as seriously, they may feel resentful that you hold them to a higher standard than you hold yourself. Showing your children in these different ways that being healthy is important to you will allow you to exercise a positive influence over their choices - both now, and as they grow up into adults.